You can also add some crushed pecans or walnuts to these lovely muffins. Make a batch and eat them all week for breakfast or as a post-workout snack. They’re definitely best warm, but can also be eaten cold on the go. 1. Preheat oven to 180oC and lightly grease a muffin tin. 2. Cook the quinoa by bringing 150ml water to a boil, pour in the quinoa and reduce to a simmer until fluffy for about 12 minutes. 3. In a bowl mix the apple sauce, mashed bananas, almond milk, honey and vanilla. 4. In a separate bowl mix the quinoa, oats and cinnamon. Slowly stir the wet into the dry ingredients until fully combined. 5. Peel, core and chop up an apple and mix the apple chunks into the bowl. 6. 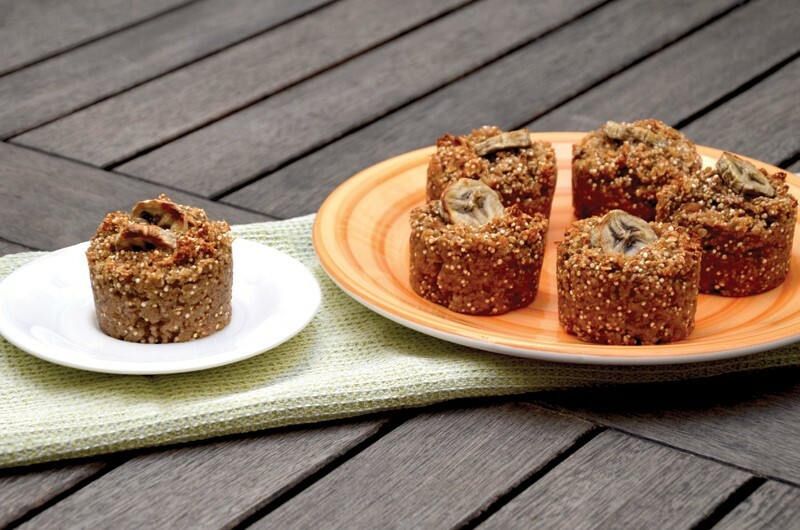 Fill each of the muffin cups with the quinoa mixture. 7. Add a banana slice or two to the top of each muffin and bake for 20-25 minutes. 8. Let cool for 5 minutes, then enjoy one warm! *For the Apple Sauce: In a saucepan, combine 4 peeled and chopped apples, 180ml of water, 45g Lamb Brand White Granulated Sugar and ½ tsp Lamb Brand Cinnamon. Cover, and cook over medium heat for 15 to 20 minutes or until apples are soft. Allow to cool, then mash with a fork or potato masher.